Understanding the neurobiology of depression involves more than just knowing about serotonin, we need to know how state and trait brain function in depression is different from brain functioning in those who have never had a major depression. State and trait are key concepts in understanding psychiatric conditions: state refers to those alterations in functioning that occur when someone is experiencing a major depression, whereas trait refers to alterations in functioning that persist in those who have experienced a major depression when they are no longer depressed. Think of state as referring to how a brain that is depressed works and trait as a marker for depression vulnerability. People with depression respond to stress differently than people who have never been depressed. Examining the basis for these differences is a useful way of looking at state and trait changes in brain function in depression. 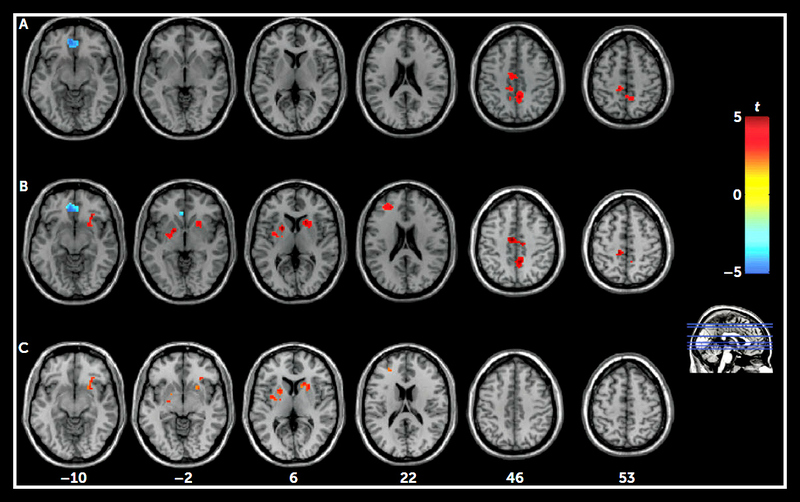 Scientists from the Laboratory of Applied Brain and Cognitive Sciences of Shanghai International Studies University in China looked at brain functioning in previously and currently depressed individuals in a stressful situation and compared this with individuals who had never been depressed. 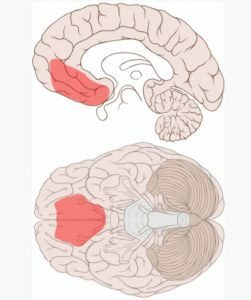 Both those previously and currently depressed showed greater stress and had less activation of the ventromedial prefrontal cortex (PFC) as well as greater cortisol release when compared with those who had never experienced depression. Reduced activation of the ventromedial PFC correlated with increased cortisol release in all of those studied. In other words, reduced activation of the ventromedial PFC in stressful situations may be a marker of increased vulnerability to depression. The ventromedial prefrontal cortex is an area of the brain that lies roughly above your eyes and has been previously shown to play a central role in the assessment of risk and reward. Individuals with damage to the ventromedial PFC show less ability to learn from mistakes. They do not see how their actions connect to future rewards or punishments. Because they are not able to see this connection between their choices and what happens to them they experience more stress in situations requiring decisions. In addition to less activation of the ventromedial PFC, those previously or currently depressed had more activation of the precuneus. The precuneus is an area of the cortex that lies behind the area involved in processing sensory input from the body and the part of the cortex that processes visual input. It is thought to be involved in self-awareness and certain forms of memory. And it is a central part of the default mode network. Those who were not currently depressed, showed two additional areas of increased activation compared with those who had never been depressed: increased activation in the dorsolateral prefrontal cortex as well as increased activation in the striatum. The increased activation in the dorsolateral PFC is particularly interesting because this is the area that is stimulated by transcranial magnetic stimulation (TMS), which is a treatment for depression. This suggests that activation of this area counteracts the changes that are associated with increased reactions to stressful situations in patients who are currently depressed. In other words, what distinguishes those who have had depression but are not currently depressed from those who are currently depressed is not a return to normal brain function, but an activation of an additional area of the brain that protects against depression in the face of stress. Activation of the dorsolateral PFC is associated with an effective treatment of depression (TMS) as well as a practice that seems protective against depression (mindfulness meditation). It also predicts a better response to antidepressant medications. Ming Q, Zhong X, Zhang X, Pu W, Dong D, Jiang Y, Gao Y, Wang X, Detre JA, Yao S, Rao H. State-Independent and Dependent Neural Responses to Psychosocial Stress in Current and Remitted Depression. Am J Psychiatry. 2017 Oct 1;174(10):971-979. doi: 10.1176/appi.ajp.2017.16080974. Epub 2017 Jun 16. PubMed PMID: 28618857.